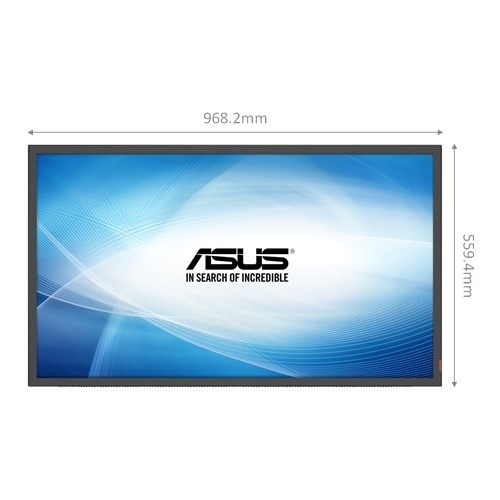 Seamless Vision for Impactful Messaging ASUS SD434-YB Commercial Displays feature a built-in multimedia player that supports a variety of commonly used media file formats. 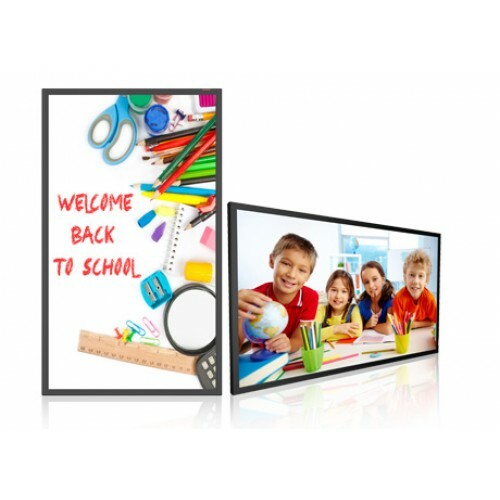 The SD434-YB supports up to Full HD 1920 x 1080 content and features a 3,000:1 high contrast ratio, 178-degree wide-view angle panel that provides stunning images even when viewed from extreme angles. SD434-YB features brightness of 350 cd/m², making them ideal for indoor wall-mounted, shelved, or end-cap installations. The SD434-YB also has built-in speakers that provide clear audio to accompany the visuals. With everything housed in a single unit, the SD434-YBs ’ all-in-one design makes it ideal for small businesses. It is a cost-effective solution that is easy to set up too, giving users a high return on investment. Remote Network Control A RS-232 port lets you manage multiple signage installations through a linked connection. You can monitor and control all displays in the control room. Hassle-free! Vivid Visuals Even from Extreme Angles SD434-YB features a wide 178° viewing angle panel that eliminates color shift even when viewed from extreme horizontal or vertical angles. This means your audience experiences no image distortion or degradation even when they’re viewing the screen from different angles. 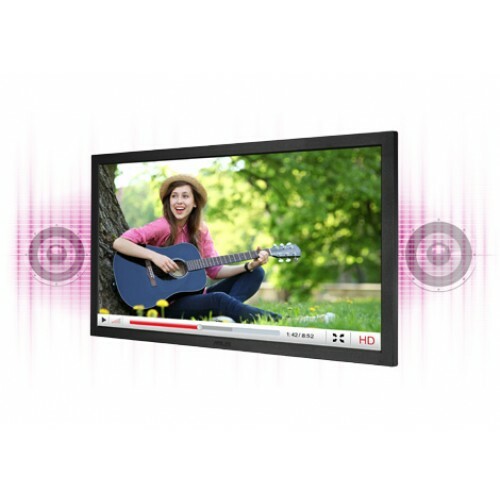 For added placement flexibility, SD434-YB can be used in a portrait or landscape orientation. Powerful Built-in Speakers Built-in twin 10W speakers provide high-quality audio to accompany what’s onscreen. These rear-mounted speakers help maintain SD434-YB’s slim profile and eliminate the need for external speakers.